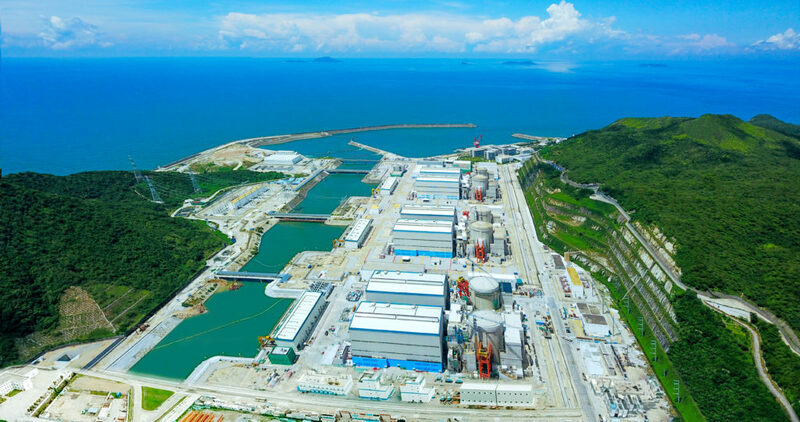 Unit 5 of China’s Yangjiang nuclear plant in Guangdong province has completed commissioning tests, China General Nuclear (CGN) announced on 12 July. The CGN-designed 1000MWe unit is the first ACPR1000 reactor to be built and the first Chinese unit to feature a domestically-developed digital control system. The pressurised water reactor achieved first criticality and was connected to the grid in May. Although CGN still needs to obtain necessary permits and documentation, the unit can now be considered to be in commercial operation. Six units are planned for the Yangjiang site: the first four are CPR-1000s, with units 5 and 6 being ACPR-1000s. Yangjiang 1 entered commercial operation in March 2015, followed by units 2, 3 and 4 following in June 2015, January 2016 and March 2017. First concrete for Yangjiang 5 was poured in September 2013 and for Yangjiang 6 three months later. All six reactors should be in operation by 2019. The plant is owned and operated by Yangjiang Nuclear Power Company Limited, which is owned by CGN Power (29%), CGN Power subsidiary GNIC (30%), CGN Power associate company CGN Industry Investment Fund Phase I (7%), Guangdong Yudean Group (17%) and Hong Kong-based power company CLP Holdings Limited (17%).